In our pursuit of the perfect bubble we’re constantly refining, innovating and, well, perfecting! 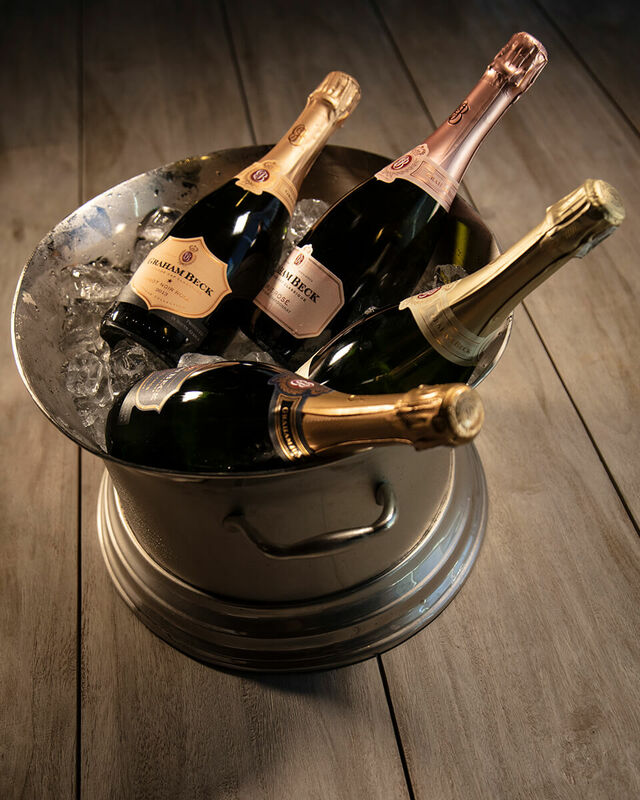 Recently, this exhilarating and rewarding process has involved an utterly elegant make-over for the Méthode Cap Classique sparkling wines in our award-winning portfolio. This sophisticated new look and feel involves an evolutionary revamp of the packaging to align with the Graham Beck premiumisation journey. Those who know and love the brand, as well as any fresh new fans of the range can expect sleeker designs, a new brand logo, cleaner typefaces, premium paper stocks, thicker foils and an outer carton revamp to ensure enhanced overall visibility and shelf appeal. We’re sure you’ll agree that these subtle, yet super stylish tweaks make these iconic bubblies even more irresistible, and, as always, the essential components in your own special celebration of what matters. Order before the end of April and stand a chance to win 1 of 5 cases of Graham Beck Vintage Mix Cases comprising of 1 bottle each of Graham Beck Blanc de Blancs 2014, Pinot Noir Rosé 2013 and Brut Zero 2012 – an exceptional treat for bubbly lovers, displaying the versatility of our craft and the distinctive quality of the vintage tier of our accomplished range. One of the country’s most awarded sparkling wines, the Blanc de Blancs has received numerous prestigious accolades, one of which was being voted best bottle fermented sparkling wine in the world at the International Wine and Spirits Competition. 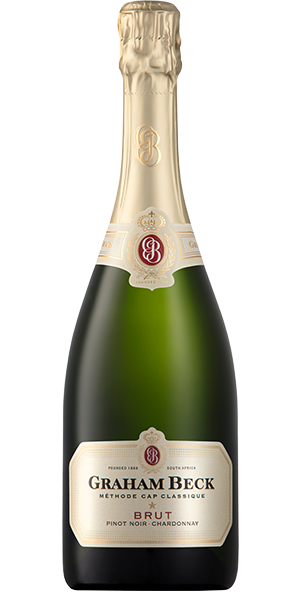 This distinguished Cap Classique was crafted from hand selected Chardonnay clones on the Graham Beck Robertson Estate, where the vineyards have an exceptional terroir, due to the naturally limestone rich soils. 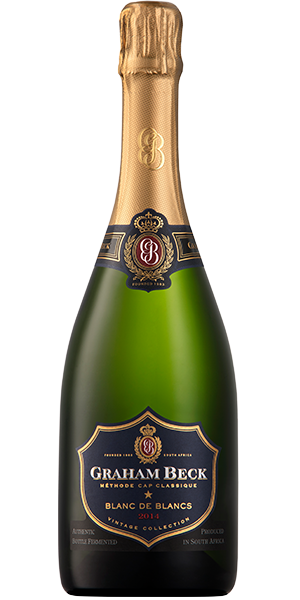 An iconic sparkling wine that has carved out a niche in the history books - affectionately dubbed the “President’s Choice”, the Brut NV was served at both Nelson Mandela’s inauguration and to celebrate Barack Obama’s presidential nomindation. 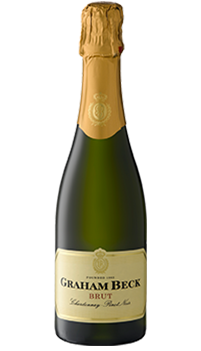 With its light yeasty aromas, limey fresh fruit on the nose and rich creamy complexity on the palate, the Brut NV is intended to cleanse the palate, stimulate the taste buds and entice you to progress to the ‘next level’ in your tasting journey. From the French “demi” or half, and “sec” meaning dry, this simply blissful Cap Classique is sure to entice the sweeter senses due to the addition of a special medley of liqueur d’expédition. 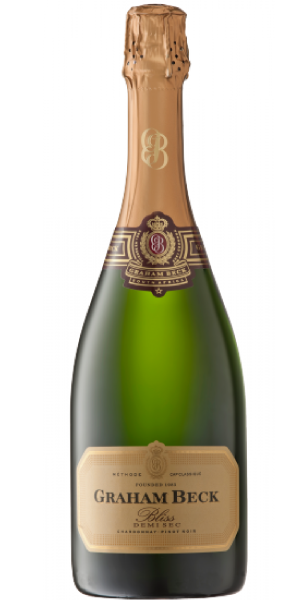 The irresistible result is a most indulgent and luscious Cap Classique for those without a penchant for the ultra-dry. Delightfully light yeasty aromas are complemented by hints of butterscotch, honey and praline. A pioneering first for South Africa, whereby both varietals, Pinot Noir and Chardonnay, were whole bunch pressed together – this award-winning Cap Classique proves its pedigree time and again both in local and international wine competitions. The Pinot Noir lends a berry-laden ripeness and subtle spiciness while the Chardonnay contributes creamy complexity. The delightful salmon-pink hue of the Vintage Rosé perfectly complements the sumptuous strawberry notes and rich creamy complexity on the palate. The Brut NV 375ml Demi or Half holds one-half of the standard 750ml size bottle and makes the perfect pint-sized companion, serving a conveniently packaged and elegantly presented two glasses of delectable Brut NV Cap Classique. 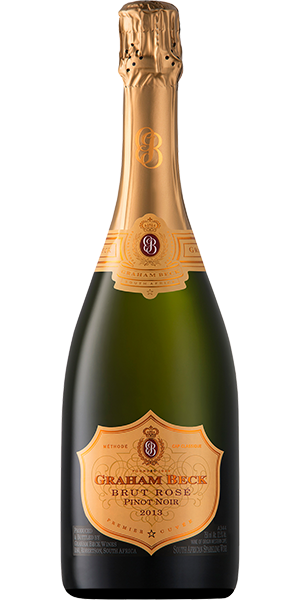 This iconic MCC, the choice of presidents, princes and pop stars, epitomises Graham Beck’s passionate pursuit of the perfect bubble – a journey of dedication and meticulous attention to detail. This offer is subject to conditions as laid out in our email communication, as reflected above and on this web page. By submitting the form and placing your order you confirm you have read and agree to the conditions above. You have not selected any wine to order. All prices include VAT. Order online or call 021 874 1258. Be sure to quote your Membership number or a valid cell phone number. Free delivery on orders exceeding R1500 - otherwise a nominal delivery fee of R130 per 12 bottles apply. If there is an error processing your form (some security settings preclude the use of a form like the one above) please email us at: society@grahambeck.com and detail your requirements in the body of the email. 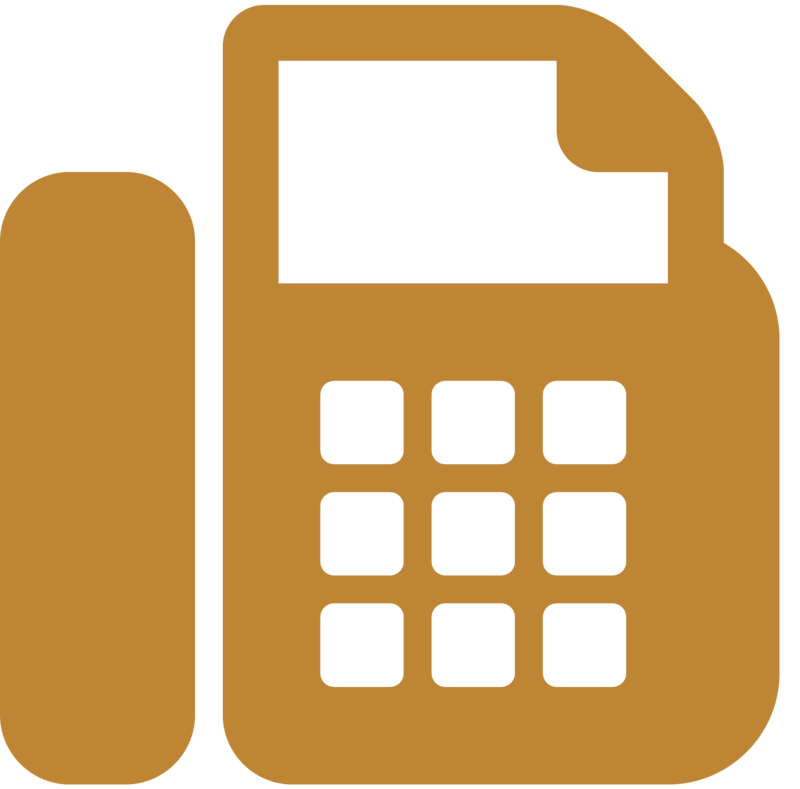 Include your phone number and we will contact you for all relevant information. This page is exclusively for the use of The Graham Beck Society Members and prospective members.